This listing is for one teal pumpkin banner of choice. 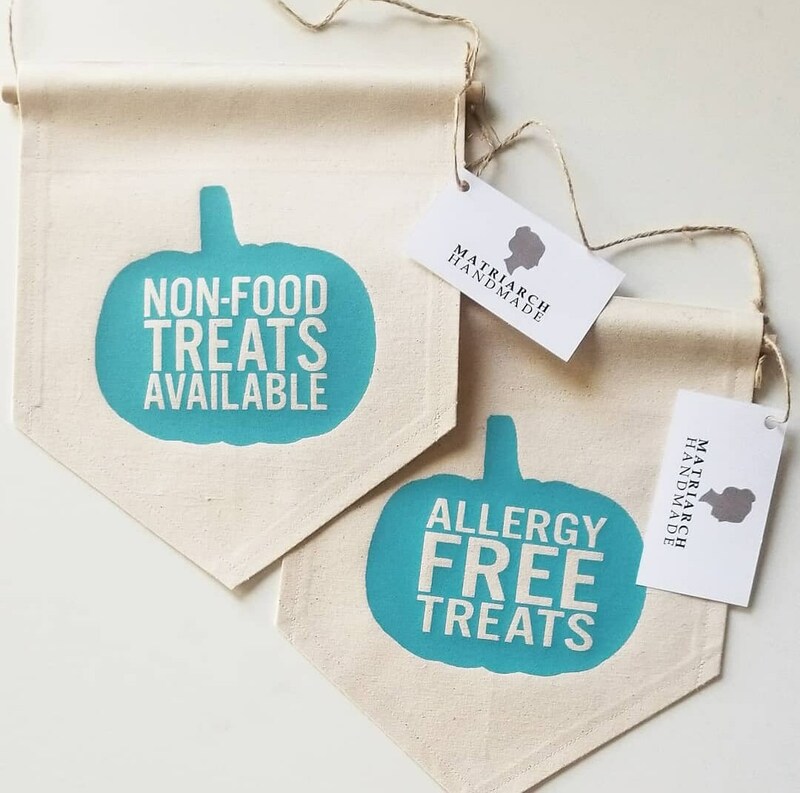 Choose between ALLERGY FREE TREATS or NON-FOOD TREATS AVAILABLE to show Trick-or-Treaters with food allergies that you have a safe alternative such as nut free candy/snacks OR an inexpensive non-food trinket or toy instead. All banners are heat pressed onto unbleached natural drill fabric. Banner measures approximately 8" across x 10" long.